A common practice in the construction of commercial buildings and industrial complexes is the installation of a flat roof system. For many years, these systems included multiple layers of materials which were (still are) effective in their own right, but are now steadily being replaced by single-ply membranes. Resistant to tearing, fungus growth, dirt accumulation, etc. Resistant to damage from UV rays, chemicals, acids, oils, etc. In turn, the quality of the initial installation as well as any requisite repairs throughout the life of the single-ply membrane will have a direct impact on satisfying these goals. 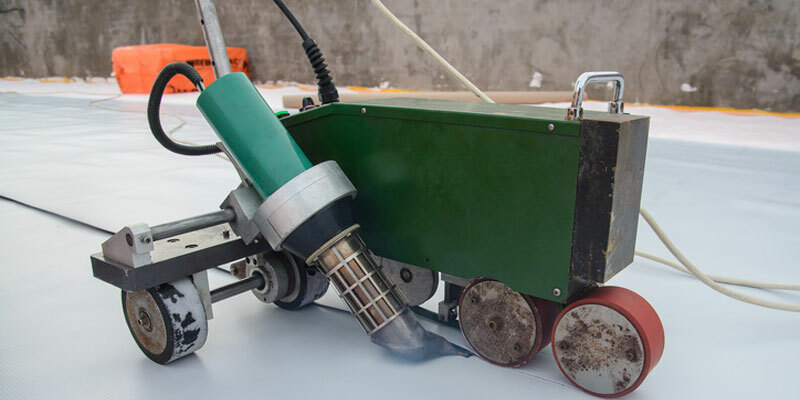 For 15-plus years, Can-Sky Roofing has provided skilled flat roof installations and repairs for commercial and industrial property owners in Toronto and its surrounding area. 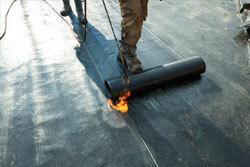 The crews from Can-Sky Roofing are fully trained and certified to install all types of single-ply flat roof systems, including EPDM, TPO, and PVC membranes, for various and diverse facilities and structures. For further information on the scope of flat roof systems and repairs offered by the team at Can-Sky Roofing in Toronto, see our Flat Roof Systems page. Call the flat roof installation and repair specialists at Can-Sky Roofing in Toronto today at 647-691-0487 or contact us for a free quote on your commercial roofing needs.